Think unique gifts for women and images of black diamonds and opalescent pearls often come to mind, but this does not necessarily suit the needs or desires of every woman much less a Mom. We have some great ideas for Mothers day, birthday, Christmas or just to say I love you Mom. A handmade gift has so much love poured into it. You have to understand that with women it is not always about latest item on the market. Instead, women are more impressed with those sentimental pieces like pictures of special moments and people in the past or wallets and carrying cases with remembrances of days gone by. 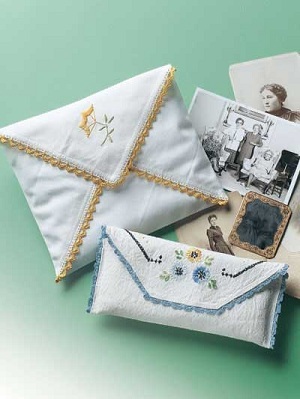 Such as this delicate and beautiful pouch pictured above. All made with love especially for her. This is a very easy gift you can make it any size and it is great for the plus size Mom. 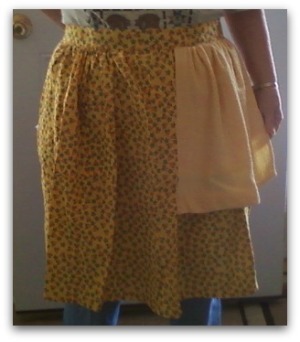 This apron covers from spills and has a handy hand towel to wipe you hands while busy in the kitchen. For the link to this pattern, just click the pictures. The real key to unique gifts, is to understand who the woman is that will be receiving the gift. Her likes and dislikes, her favorite colors, flowers, and seasons. When you love and understand something about how they feel and what their interests are you will know the type of gift to make. This will set you up for better understanding what will touch her heart and soul when you create those unique gifts for women. Often times, men are the worst offenders when it comes to shopping for unique gifts for women, but we should not single out the men to address this text to. Our society is so fast paced these days that it is easy to pickup just some sort of something and call it good. If you really want to touch a woman you care about, you should take some time to really get acquainted with their interests, both from the past as well as the future if you are going to strike a chord with them when you present them with a gift. Women are more impressed with gifts that are different as well as unexpected. It is not unusual to know that there will be a rose and box of chocolates on Valentine’s Day. An unforgettable experience like a trip to somewhere she has not been before or that she has reminisced about could be just the thing to take her by surprise. Just don’t forget mementos of the experience that will help her to recapture the event long after she has slipped back into everyday life. Travel may be out of the question due to a good many circumstances, but planning an entertaining evening for two should do the trick. You could plan your evening with a dinner for two in an out of the way location, with a show to follow. 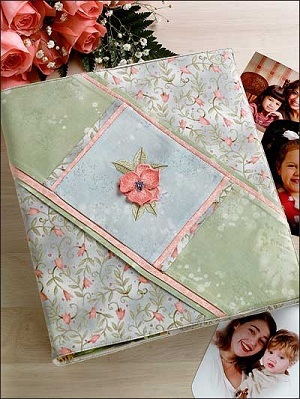 Here again, she will want to remember this occasion for years to come, and providing her with photos in a keepsake photo carrier complete with lace is sure to make her smile. 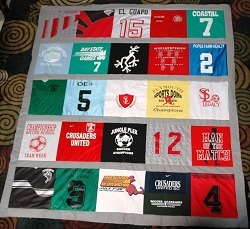 How about a t-shirt quilt. Made up of the grandchildrens t-shirts. She will love it. Giving unique gifts for women is not something that should be hard to do. With just a bit of thought and maybe some research, you are sure to come up with something that will please even the woman that has everything. No, you don't have to be extravagant to touch the heart of someone special, but you do have to understand who she is and what will please her.